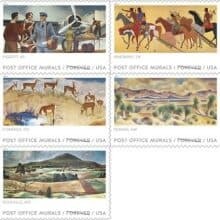 The Post Office Murals Forever Stamps Debut Today. 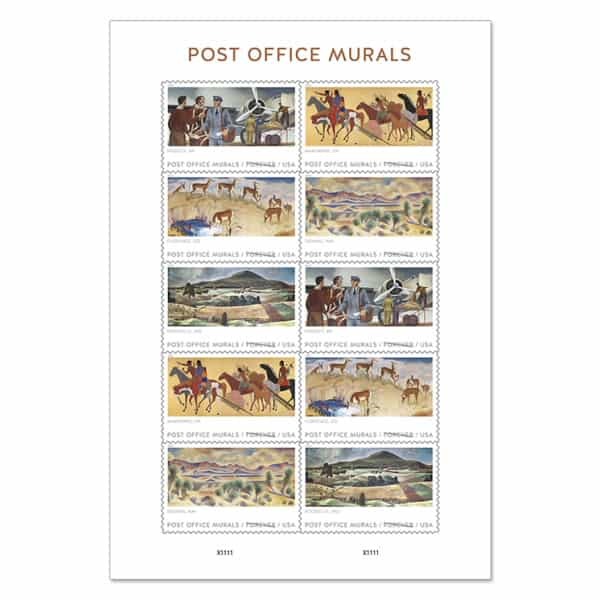 You probably live near a Post Office building having one of the United States Post Office Murals produced during 1934–43. Locally here in Wilmington, NC at the downtown post office is from 1940 of the Port of Wilmington. My thanks to stamp club buddy Jimmy for his sharing about the downtown mural and the history around the Murals Forever Stamps at the Wilmington Philatelic Society meeting last evening. First, look up your State and see what city is nearby to see a listing of the United States post office murals locally. If the Post Office Murals Forever Stamps are sounding familiar, back in February they were included in the listing of the New USPS Stamp Announcements. 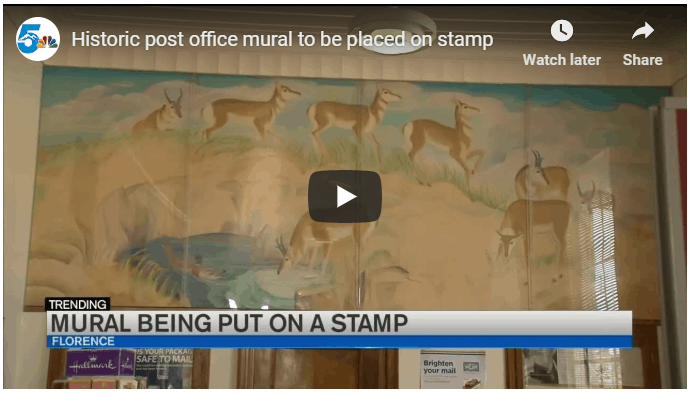 In the USPS National News today, it includes an article on Stamps Highlight Five Post Office Murals. It goes into detail on the origin of the Post Office murals. It also talks about the commitment to upkeep the classic paintings and having on display for the public to enjoy. The pane of 10 has two of each design. They are for ordering Post Office Murals Forever Stamps online. Also, available for ordering by mail at USA Philatelic, and/or at Post Offices across the country. I’m including this short video on the Antelope mural in Florence, Colorado. The Ceremony Program, Ceremony Memento, Cachet, and Keepsake are available for ordering online. I’m hoping to see details on requesting Pictorial Postmarks for the FDOI First Day of Issue in the next USPS Postal Bulletin issue coming out tomorrow!